After spending the last two months on the road KITTEN entered the Troubadour on Friday for what was to be the first night of a two night sold out homecoming shows. 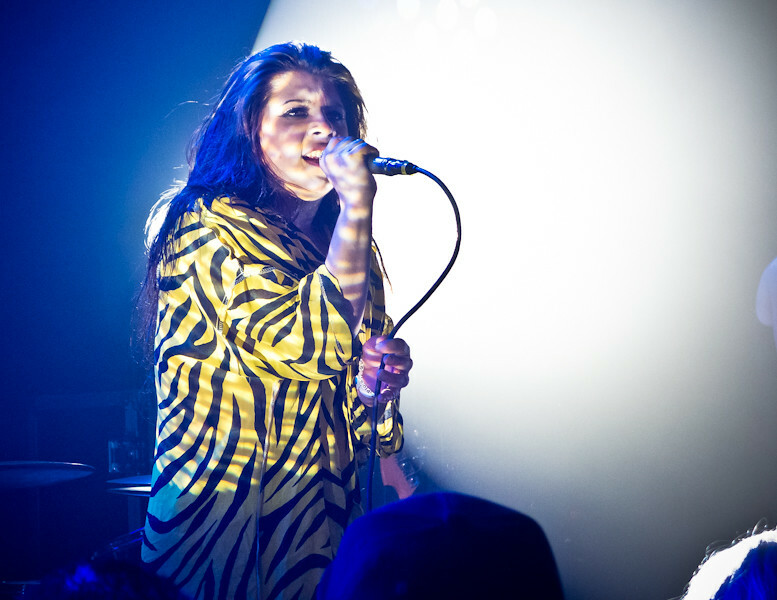 But a day later and hours before their second consecutive show, frontwoman Chloe Chaidez posted via social media that Saturday's show was postponed due to nodules on her vocal chords on doctor's orders.
" Kill us to do this, but we must post pone tonights show due to a medical emergency. I have nodules and if I were to do another show tonight i could possibly lose my voice for a very very long time. Another date will be set as soon as possible and we will see you soon for an amazing show. You guys killed it last night "
And it was apparent early on that 20 year-old singer Chloe Chaidez was battling through the loss of her voice which was noticeable during her acoustic performance of "Kill The Light." But other than her vocal problems, Chloe gave it her all, playing to a hometown crowd that lifted her and carried her through (literally) the night, playing older songs as well as new songs from their debut album while also performing covers of David Bowie's "Heroes" and "Purple Rain" by Prince. Their postponed show will be rescheduled which will take place in a couple weeks. 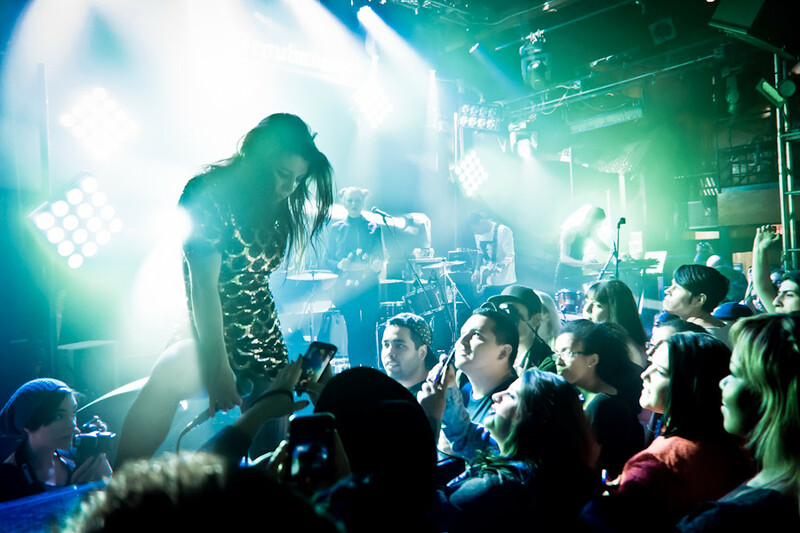 KITTEN performs at The Troubadour during their hometown show.